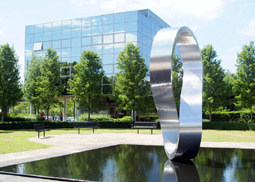 Welcome to the website of Heald Solicitors, one of the longest established commercial solicitors in Milton Keynes, Buckinghamshire. We exist to serve those who demand first class service in a professional yet friendly manner. Every client is important to us whether in the commercial work we do for them or in the personal matters we advise on. 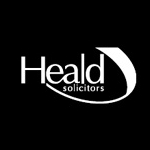 Heald is now one of the longest established commercial solicitors firms in Milton Keynes having been started in 1980. We offer a highly personal service primarily to businesses where our partners take care to understand our clients' business. We have particular expertise in company commercial, commercial property and dispute resolution. Our advice will be tailored to the knowledge you give us of your needs, your resources and your markets. Our key principle is that everything we do must meet our clients' needs. Indeed, for business clients we hope that we can contribute to their businesses in a way that goes far beyond sound knowledge of the law. We aim to give shrewd practical solutions to clients' problems and where possible highlight potential problems before they become an issue. We also look after clients with personal needs. We have a highly qualified family team who can give specialist advice on all aspects of family law. We can also give sound practical advice on residential property and wills and probate. Our team has a variety of experience. Some have worked in the City of London, some in-house with corporations and institutions and some as specialist barristers. Others have been with us since qualifying, while some have joined us from other local or national practices. Our work extends far beyond the UK. We are internationally active with clients from Russia through Scandinavia, Eastern and Western Europe, and North America. We share one ethos - to give you the advice you need. We welcome your business. If you want to know more, please feel free to contact us.